Efficient mobile odor binding for coverage of larger areas can be done with the V12SO. 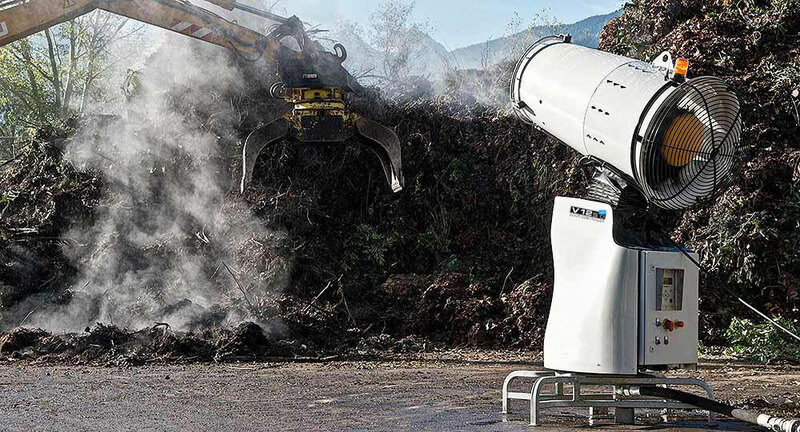 Ideal for use in the processing of garbage, composting or recycling of materials liquid and solid, the neutralization of odors is achieved by atomization of a chemical component with water mist. NEBOLEX High Single 100 can be used for direct fogging of materials or as an odor barrier at conveyor belts, gates etc. to prevent the emission of odors. The odor neutralizing chemical agent is diffused by an implemented dosing unit. The atomized mist remains floating in the air and does not form puddles.